Divisive dubstep dude Skrillex has been as busy as ever lately, with a new box set due next week. As if that weren't enough, the angular-haired wonder has followed up his recent Wreck-It Ralph cameo with his very own videogame. 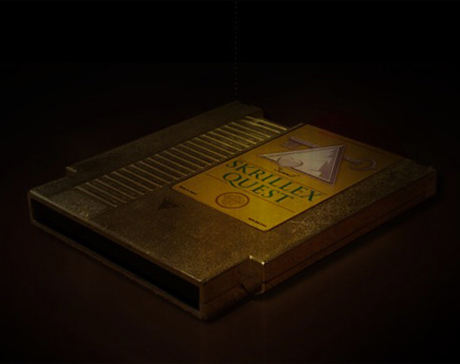 The 8-bit adventure is called Skrillex Quest and was developed by Jason Oda. In the game, you perform as a young knight who's stuck in an NES videogame cartridge. From there, you battle all sorts of villains as a bangin' soundtrack plays in the background. If you want to try out the Skrillex game, head on over here. As previously reported, Skrillex's Full Flex Express will return to Canada in 2013. The dates are available here.